CONTENT WARNING: Vulgar language, some sexual situations. What Genre *Is* This Anyway? When I first settled down to write the first book in the Wolf Within series, Beneath the Skin, I didn’t know the rules. Not for romance or for paranormal romance or for urban fantasy or for any genre. I only knew what I liked to read and what I wanted to write. Beneath the Skin was a NaNoWriMo novel. Written in eleven days, half of them when I was feverish with the flu, I had no clue what the hell I was writing. I just knew I couldn’t tell the whole story in one novel. But I could tell the beginning. I could set the world in motion, have the main characters collide, and set the pendulum swinging. The novel takes place over a period of several days – less than two weeks. I don’t believe in love at first sight and my shifters were not the kind who mated for life and recognized their mates at a glance. In fact, this was a second chance at love for both Stanzie and Murphy. They each had important relationships before they met each other. Stanzie was happily bonded to Grey and Elena and Murphy had Sorcha. All three had perished in bad accidents and Stanzie and Murphy’s worlds were seriously jolted, if not all but destroyed. So two weeks, I decided, was enough to tell the story I wanted to tell and to set the series in motion, but it wasn’t nearly enough time for them to fall in love. So I broke the paranormal romance rules right off the bat. The ending was happy enough, but there were no declarations of love. Also at that point I was a definite pantser so I knew some of the details of their backstories, but hell if I knew where they were going. Luckily for them and for me, they were given a home with Lyrical Press, the first and only publishing house I submitted them to. I set to work on the second novel, Scratch the Surface, almost immediately. It picked up about a month and a half after Beneath the Skin ended and took place over a week’s time. Stanzie and Murphy knew each other much better now, but at least in his case, there were secrets. A huge one was exposed in this novel and it threw a monkey wrench into their progressing romance. Plus there was a mystery to be solved. Their romance and the mystery were given equal billing so this one was still a paranormal romance even if I didn’t play by all the rules. Hidden in Plain Sight came next and that’s when I started verging into urban fantasy territory. Stanzie and Murphy didn’t have time for their romance in this one. They started off okay, but were soon sucked into a missing persons case and there was a serial killer and a tribunal and Murphy spent most of the second half of the book offstage. The series is told from Stanzie’s first person point of view and this is the book where she took top billing. Finding the missing girl was the priority in the first half of the book and dealing with the fallout of finding her made up the second half. Murphy reappeared at the end, but he’d hurt Stanzie badly even though he hadn’t meant to. He’d only been doing what any good Alpha male does – protect and do it all himself because he didn’t trust anybody else and Stanzie’s life was on the line. She didn’t quite see it that way and the book ended on a bittersweet note. Their relationship was on the line and it could go either way. 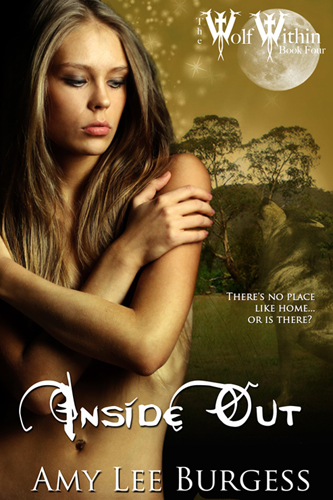 Inside Out was straight out urban fantasy. Murphy appeared in the first two chapters and then left her. Their relationship was ended and she was left to pick up the pieces of her life. Then her cousin Faith contacted Councilor Allerton, Stanzie’s boss, and asked if Stanzie could come investigate some strangeness in the Mayflower pack. So Stanzie was sent home to her estranged birth pack to find out what was wrong. On her own. This was her watershed moment where she had to realize she could be a good Advisor to Councilor Allerton without Murphy’s help. She’d done most of the work in the previous novels but she’d always relied on him to help her, only this time she had no one to turn to. Okay, there was Scott Charest, Faith’s bond mate, but he was not a romantic lead. There was little to no romance in this novel, at least not Stanzie’s romance. Faith and Scott shone in this novel. There’s always a romance in the Wolf Within novels, but Stanzie and Murphy don’t always take center stage. That’s a definite paranormal romance broken rule right there. But it works. At least I believe it does and I hope you, the readers, think so too. Many of you have come on Stanzie’s journey for six books now. Some of you may be reading this and hearing of the Wolf Within for the first time. Please join us. 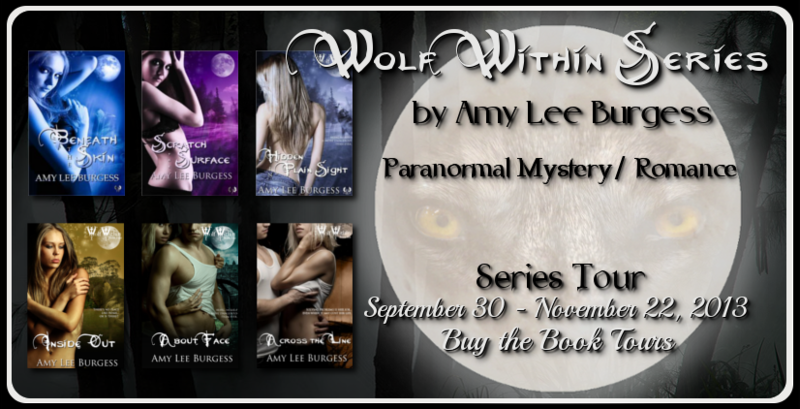 Just know this series is not paranormal romance or urban fantasy. It’s some sort of strange hybrid. 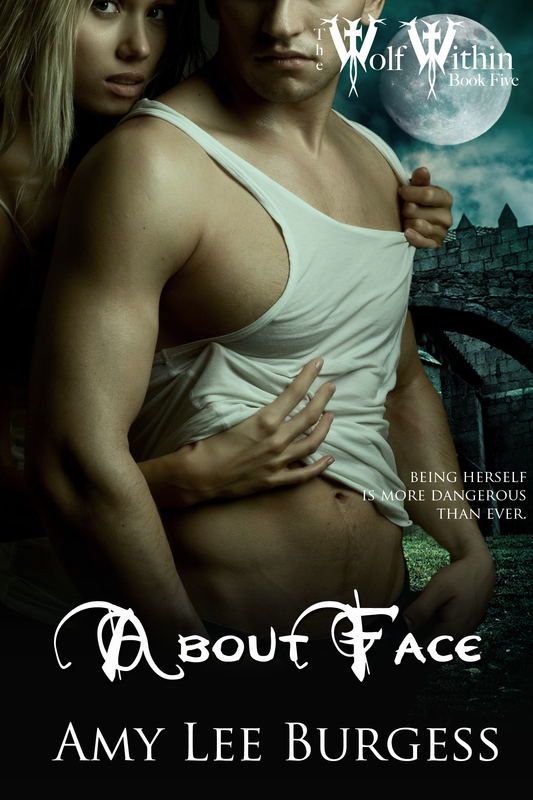 About Face, the fifth novel, straddles the urban fantasy/paranormal romance line. Murphy’s back in this one and Stanzie is intent on fixing their broken relationship. So their romance is prominent, but so is the mystery. This was the saddest of the novels for many reasons. Stanzie and Murphy’s hearts are broken in this one. But their true feelings for each other are revealed. 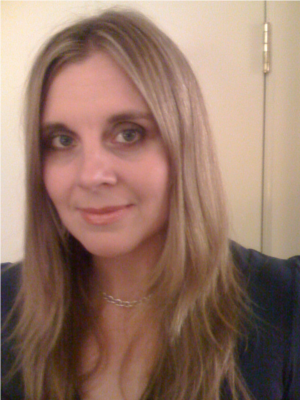 Across the Line, the sixth and current novel, is urban fantasy. Stanzie and Murphy are sent on an assignment to help decide a territory dispute between two packs. A large one and a small one. They find themselves on opposite sides of this debate and yet their relationship is strong enough to withstand their different beliefs. There’s romance in this one – lots of it. There’s the star-crossed lovers who were once bonded but broke up over the issue of children. And the young lovers torn apart by tragic circumstance. But it’s all from Stanzie’s point of view, so everything is colored by her perception. Where is the series headed? Good question! The seventh novel, One Step Ahead, is a paranormal thriller. I’m switching genres again! Or maybe making one up. It’s not due out until next year so I’m only going briefly touch on it, but it’s definitely not a paranormal romance. Stanzie and Murphy’s story is complex and ongoing and while each novel is stand alone, the higher the number on the novel’s front cover, the harder it will be to pick up if you haven’t read the previous books first. The situations are more complex, the stakes are higher, the decisions made affect future novels, yet each novel has a set mystery that is uncovered and solved. Characters recur and evolve. Sometimes they die. It is a journey. For Stanzie, for Murphy, for the recurring characters and packs. It is the story of the Great Pack as it struggles to decide whether to keep hidden in the shadows or reveal to Others – non-shifters – that they are not alone and wolf shifters walk among them and always have. I’ll leave you with an invitation to come along on Stanzie’s journey. For those of you who have already joined, welcome back. I hope you enjoy Across the Line or whatever book in the series you happen to be reading.